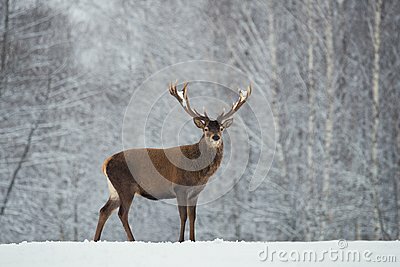 Great Adult Noble Red Deer With Big Beautiful Horns On Snowy Field At Winter Birch Forest Background. European Wildlife Landscape With Snow And Deer Stag With Big Antlers. Portrait Of Lonely Buck.